Patrick Swayze is rumoured to be starring in another 'Dirty Dancing' sequel. The 55-year-old actor has been bombarded with acting offers after as he continues to make good progress after being diagnosed with pancreatic cancer. He is now being tipped to return as Johnny Castle in a sequel to the classic romantic movie which catapulted him to fame. A studio insider said: "It's great news that Patrick is so well and there are lots of offers for him. Everyone wants him to star in a 'Dirty Dancing' sequel. It's just a matter of him making his mind up." 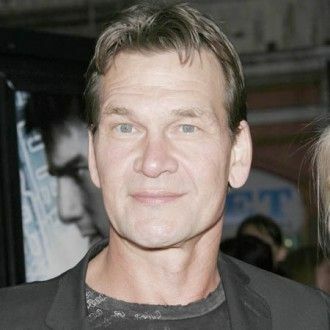 Swayze - who had a small cameo as a dance instructor in the panned 2004 movie 'Dirty Dancing: Havana Nights' - was given weeks to live when diagnosed with the disease earlier this year. But months of intensive treatment have paid off, and Swayze returned to work on Monday (28.07.08) to film TV series 'The Beast'. Last week, Swayze spoke of his recovery, saying: "I'm doing really well. I feel really good. I've put on 20lbs. I should be dead right now. Look at me - I'm a miracle." He credits his recovery to his undergoing pioneering Cyberknife radiotherapy at California's Stamford University Medical Center. He has also been sticking to a strict diet of fruit and vegetables.